Arizona offers its residents and select corporations an opportunity to redirect a portion of their Arizona tax obligation in support of the financial aid program of their favorite independent school – PCDS. Arizona offers its residents an opportunity to redirect a portion of their Arizona tax obligation in support of the financial aid program of their favorite independent school – PCDS. Participants then receive a dollar-for-dollar credit against their 2018 Arizona income taxes. While there are many educational tax credit foundations, PCDS directs its donors to support the Arizona Independent Schools Scholarship Foundation (AISSF). How much can I give? What if I owe the state for the 2018 tax year? What if the state owes me a refund? Married couples filing jointly can contribute up to $2,213. Individuals can contribute up to $1,107. Make your 2018 Tax Credit contribution to PCDS through the Arizona Independent Schools Scholarship Foundation (AISSF) at www.aissf.org or by mail by April 15, 2019. AISSF will send you a receipt for your contribution. Hold on to it. When filing your 2018 taxes, complete Arizona Forms 323 and 348 to deduct the full amount of your contribution as a credit on your state tax return. To help you out, we will email you those forms when available by the state. Your Tax Credit contribution will give you a dollar-for-dollar credit on your state taxes. You will deduct your contribution from what you owe the state. Example: You owe $3,000 to the state, and you make a Tax Credit contribution of $2,213. You now only owe the state $787. Your state refund will be increased by the amount of your Tax Credit contribution. Example: You are due a refund from the state of $500. You make a Tax Credit contribution of $2,213 and you’ve now increased your refund to $2,713. Anyone who pays Arizona state taxes can contribute – relatives, friends, co-workers, neighbors, etc. It’s really that simple! Please contact Katie Charles or Kristie Berg at 602-955-8200 if you have any questions. 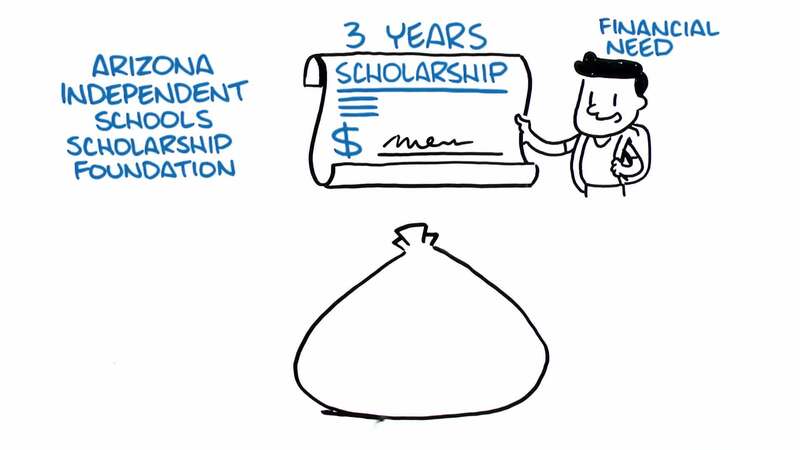 Your company can fund scholarships for students who need them at NO out-of-pocket cost to your corporation. By making a corporate tax credit contribution, companies can redirect the taxes they would otherwise pay to the state to fund scholarships for the most deserving and highest-need students to attend PCDS. Each year, PCDS provides over 170 scholarships, thanks to the support of individual and corporate tax credit contributions. PCDS is committed to supporting each scholarship student’s entire PCDS career - whether they start in kindergarten or 9th grade. How does the corporate tax credit work? How does my company benefit from making a contribution? What’s the process to contribute? Is there a deadline for submitting a Corporate Tax Credit? Is there a limit to how much my company can contribute? PCDS is a 501(c)(3) charitable organization and belongs to four different School Tuition Organizations (STOs), which raise money on behalf of PCDS and other member schools. Companies can redirect their taxes to one STO (or more than one), which distributes funds for scholarships for need-based students to attend PCDS and other private schools. The Corporate Tax Credit program is not about financial donations. In fact, making a contribution to an STO costs a corporation nothing; it is a virtually free opportunity for a company to redirect its tax dollars to students instead of paying them to the state. Currently, “C” and “S” Corporations are eligible to redirect their taxes to STOs, which then allocate scholarships to our students. Qualified companies must be “C” and “S” corporations that pay taxes in Arizona. Please consult with your tax advisor when filing state taxes. First, you will know that your company is giving a lifelong gift of education by funding need-based scholarships that open doors that might never have been opened. In addition, PCDS works with each corporation to best meet its needs. Some corporations enjoy being named in promotional materials while other corporations wish to remain anonymous; we honor all contributions and contributors, public and anonymous. Step 1: Download and fill out PCDS' Corporate Tax Credit Form and submit to Katie Charles at katie.charles@pcds.org. Step 2: Katie Charles will then complete the AZ Dept. of Revenue (ADOR) approval request form. Step 3: ADOR approves or denies request within 20 days. Step 4: Katie Charles must receive corporate (corporations) contribution within 20 days of approval. Step 5: CLAIM THE TAX CREDIT! While the deadline for submission for approval from the AZ Dept. of Revenue starts on July 1, 2019, the state will continue to approve corporate contributions until the cap is met. For the 2019-20 Fiscal Year (July 1, 2019 - June 30, 2020) the statewide cap is $106.9M. Because the cap is typically met quickly, PCDS works with the corporations months ahead of time to line up submissions for approval from the AZ Dept. of Revenue starting July 1, 2019 — it is a first come, first serve basis. There is no contribution limit per corporation! However, there is a minimum contribution of $5,000 for “C” and “S” Corporations. For more information, please contact Katie Charles, Director of Annual Giving & Stewardship, or Taylor Nelson, Coordinator of Arizona Corporate Tax Credit. Phoenix Country Day School is a private, independent PK-12 school in the Phoenix metro area that emphasizes intellectual engagement, independence, collaboration, creativity, and integrity.